Low profile? You just posted your photo all over the internet, guy. Sheesh. Yeah, but nobody's looking at it, Doof. I'm safe. We love Jack! He will feature in an upcoming episode of THE CEPHALOPOCALYPSE on these very pages! At your height, isn't it a bit hard to keep a low profile? I LOVE that! 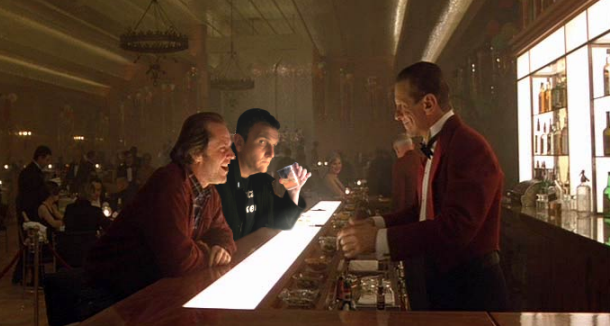 Might I suggest that you find the gardner and ask him if that is really legendary actor Joe Turkel instead of that other guy at the bar. Oh, and stay away from the hedges. Oh I never would have been able to refrain from asking!!! !